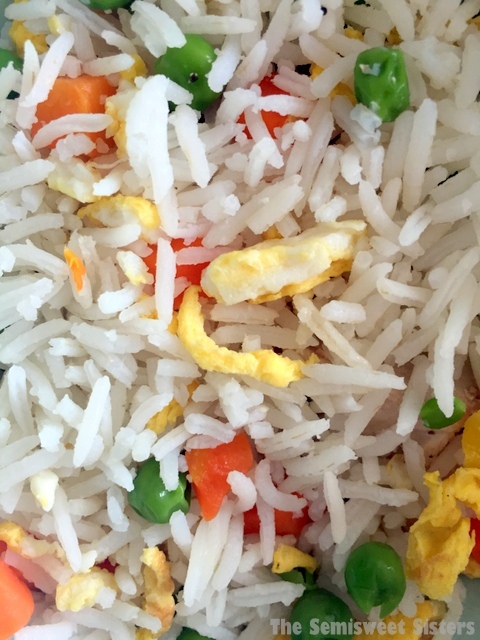 Easy Fried Rice with eggs, peas, & carrots! I love fried rice, its so versatile. You can add chicken, fish, etc. or serve it as a side dish. I remember the first time I had fried rice was with bourbon chicken, it was amazing. I didn’t know it was so easy to make at home until I did a little research. I’ve been making this recipe for over 10 years now & its so easy to whip up. Some of you might want yours to taste more like the restaurant style fried rice which is a little on the dry crunchy side. If you want yours like that then I recommend making the rice ahead of time so it can cool down completely, just cook it then refrigerate it before you make the fried rice. 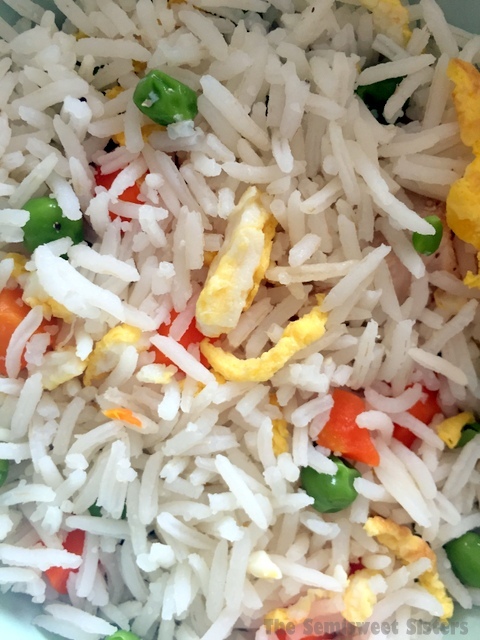 You could also cook the rice, cover it & refrigerate it overnight, then prepare the fried rice the next day. I personally like mine to be light, fluffy & fresher tasting so I make it all at once with warm rice. I’ve made this recipe with white rice, brown rice, & basmati rice. I think it tastes great with any of those 3 kinds of rice. In a saucepan, combine rice and water & cook as directed on rice packaging. Thaw your peas & carrots mix as directed on package (microwave or stove top) & strain when done. Crack eggs into a small bowl, whisk together with a fork to scramble them. Heat nonstick skillet over med-high heat, pour in oil, add eggs. Cook the eggs, using a spatula to chop up the egg into little bits. Stir in peas & carrots; cook about 30 seconds. Stir in cooked rice. Add your preferred amount of soy sauce and toss rice to coat.